The Wyoming Department of Education is seeking residents interested in serving on the Wyoming Math Standards Review Committee. The work of the committee begins in summer 2017 with two to six days of meetings from June through August. Additional meetings may occur throughout next year. Those interested are urged to complete a survey which closes at 11:59 p.m. on April 11, 2017. Completing the survey expresses interest in participating but does not commit anyone to serving on the Review Committee. Members will be chosen from the list of those interested and will be contacted directly through the e-mail address provided in the survey. 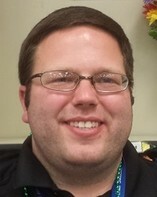 The Standards and Assessment Division welcomes its newest member to the team, Will Woods. Will is the EL and Foreign Language Consultant and comes to us from Colorado where he taught for seven years. Most of this time was focused on work with ELs, including work in biliteracy programs and as an ELD instructional coach, but he also had a stint teaching Spanish at the elementary level. Originally from Dallas, Texas, Will graduated from the University of Texas at Austin with a BS in Bilingual Education and a BA in Linguistics, and recently finished his masters in ESL. The Wyoming Department of Education invites you to attend the 6th annual Wyoming Technology-Engagement-Curriculum Connection (WyTECC) Conference May 6 in Green River. WyTECC, an ISTE® affiliate organization, focuses on advancing learning through effective use of technology, engagement strategies, core curriculum, and rich collaboration with peers. The University of Wyoming Science Initiative’s Learning Actively Mentoring Program (LAMP) will fund travel, lodging and conference fees for twenty K-16 educators to attend the Roadmap to STEM Conference held in Gillette, August 2-4, 2017. Educators will be selected through a competitive process. Applications are due on April 1st and successful awardees will be notified by May 1st. 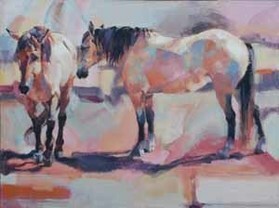 Western Spirit artist Audrie Mergelman will be leading the kids in a mixed-media painting where the sky’s the limit. All supplies will be provided. Ages 5-14. $5 for Cheyenne Frontier Days Old West Museum members. $10 for non-members. For more information: megan.hesser@oldwestmuseum.org or call (307) 778-7289. 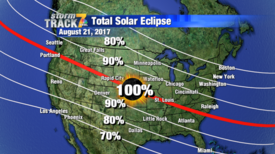 On Aug. 21, 2017, a total solar eclipse will occur over North America. Learn how to take advantage of this spectacular teachable moment and engage your class and community in investigating and experiencing the eclipse. Workshop sessions include ties to Wyoming standards, understanding the science of the eclipse, learning about statewide eclipse projects, and exploring UW resources such as the planetarium. The workshop is open to all Wyoming educators (curricular material will be focused on grades 5-9). Gov. 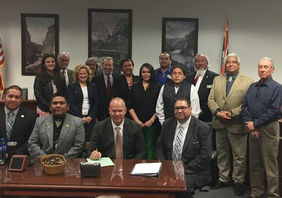 Matt Mead signed legislation intended to enhance Wyoming K-12 students’ knowledge of the history and culture of Wyoming’s American Indian tribes. The act requires the State Board of Education to cooperate with the Eastern Shoshone and Northern Arapaho tribes in reviewing social studies standards to ensure the cultural heritage, history and contemporary contributions of American Indians are addressed. The legislation also requires the Wyoming Department of Education to consult with the tribes when uploading materials and resources to the WDE web site to assist school districts.